Welcome to the Save Bantry Bay Website where you can get information about the reality of salmon fish farms – read the latest fishy news, learn about the impacts, watch some videos and find out the facts. 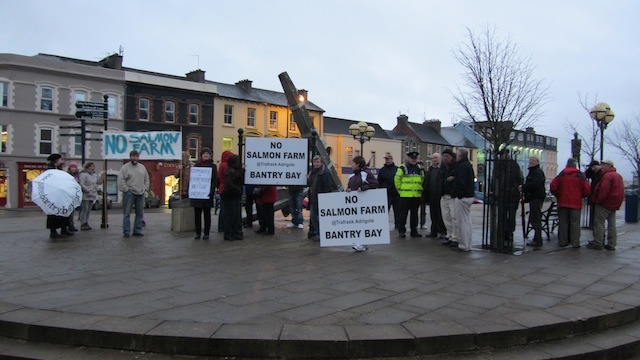 Save Bantry Bay is a group of local residents who object to Marine Harvest’s proposed Salmon Farm at Shot Head in Bantry Bay. 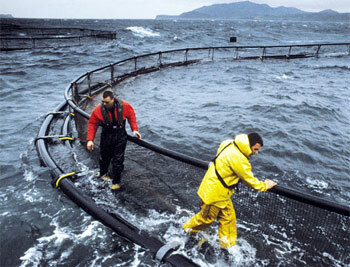 Salmon farming (salmon aquaculture) is the industrial production of salmon. In Ireland this is done in net cages, in bays and sheltered areas around the coast. There are already two salmon farms in Bantry Bay – at Roancarrig and Gearahies. Bantry Bay hosts Ireland’s greatest concentration of rope-mussel culture, other aquaculture operations and a significant fishing fleet. Bantry Bay is also home to heavier industries, including an oil terminal and a major stone quarry. Now another salmon farm is proposed by Marine Harvest. Many local residents think enough is enough and want to preserve this unspoilt stretch of coastline. Open net cage aquaculture is a floating battery salmon farm. All the waste, including medicines and chemicals, are released untreated straight into Bantry Bay. Chemicals used to treat the fish damage wild species in the marine ecosystem. A farmer would never be allowed to do this on land. The proposed salmon farm will release nutrients equivalent to sewage from a town ten times the size of Bantry. Shellfish areas are often closed for harvest due to toxic plankton blooms which cause shellfish poisoning. Encouraging more plankton growth by adding nutrients to the Bay could make the situation worse. Human health could be endangered. The proposed fish farm is much further inland than existing farms and is close to five salmon rivers. Diseases and sea lice get passed from the farmed to the wild salmon, and escaped farmed salmon breed with wild salmon weakening them genetically. 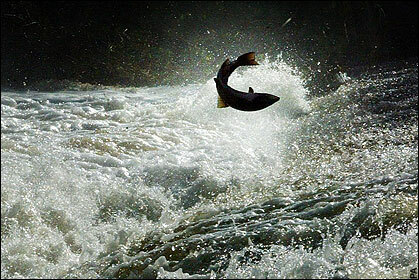 The proposed salmon farm will put wild salmon populations at risk. Bantry Bay already has its fair share of industrial developments. If more salmon farms are developed, local fishermen will lose more ground and may no longer be viable. Losing such businesses after generations has implications for local jobs, traditions and culture. Beara is a popular tourist destination for those seeking to ‘get away from it all’. Its remote, beautiful landscapes, wild life, and angling attract visitors from all over the world. Seals are a particular attraction – salmon farms require seal control including culling. Research shows that wild salmon populations can fall to half their previous levels when salmon farms operate nearby. Each wild salmon caught brings at least €400 to the local community. The proposed salmon farm is in direct conflict with the well established tourist industry. Two jobs in this case. Is this worth risking the income of existing local businesses? If you think not, why not write to your councillor, TD, Senator or even Simon Coveney, Minister of Agriculture Food and the Marine who will decide whether or not this fish farm should proceed. 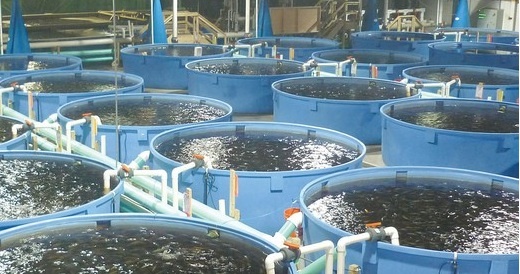 ‘Closed containment’ systems grow fish in land based tanks, and have been used for decades. All waste is collected and treated. No wild salmon or sea trout are put at risk. 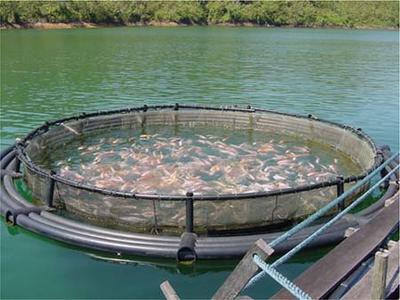 This is the future of fish farming, now is the time to look ahead. Ireland could become a world leader in sustainably produced salmon. No longer does farmed salmon need to come at the cost of our environment. Do you know how much Irish tax Marine Harvest pay?? I suspect that like many international companies, they fiddle tax returns so that little is paid here. Licence fees are small compared to Norway. There are almost no benefits accruing to Ireland, only pollution. is it true that 1 kilo of salmon takes 5 kilos of fish meal to produce? this is not the way to go for a sustainable future. learned specifically what I was basically researching for. The issues SBB are concerned with are real and should be a priority for all Salmon Farms. We are an Irish company which produces Salmon Feed to be used in salmon farms but we firmly believe that using products with synthetic ingredients is not beneficial and will have a long term effect on all sea life. Therefore, We use 100% natural ingredients derived from the sea in our products and scientific tests have proven our product reduces infections and other diseases including sea lice while improving the taste and quality of the Salmon. This is just a word of encouragement and solidarity. Hang in there and don’t give up. The letter in today’s (04/02) Irish Times is a good one, but more are needed to alert the public nationally about the pressures you are trying to resist down there. This is a filthy industry, and successive governments are hell-bent of forcing it into every bay and inlet there is, and justifying it, apart from baying that it is harmless, by waving the employment it will provide in disadvantaged areas. The Department of Fisheries and the Marine are shameless liars, in our experience, and extremely partial to industrial fish farming advocates. They must continue to be forcibly reminded of their obligations into which their noses had to be rubbed by the decision in the European Court of Justice in Case C-66/06. You are probably aware that in this case Ireland was sanctioned for not having transposed into Irish planning law the provisions of Directive 337/85. It is astounding that Coveney and his minions are still trying to get away with ignoring this. Here in Clew Bay, there have been many attempts to get away with bringing cages deep into the three-parts-enclosed inner bay. The most recent try-on was a proposal to transfer fish from the cages NW of Clare Island into cages located near the N shore of the inner bay for “finishing” – this in very shallow water with a tidal flow of only 1/2 knot, even at Springs. And this was for their own convenience. To hell with the consequences also – and Mayo Co. Council, blatantly in league with the proposers, anticipated a rollover by grossly enlarging the pier at Carrigahowley for their convenience with landings, and ruined the lovely road in for the same reason. These works constituted vandalism in themselves. All this has not gone away, we feel, and we are on the watch for renewed attempts. Some years ago I saw in the magazine of the US environmental organisation The Sierra Club an account of the devastation caused by massive fish farming development in Puget Sound in the west of the US and Canada. There, the authorities were and are similarly in league, and similarly in denial. Keep up the good work, and congrats to you on your stance. Please, also, register your solidarity with and encouragement for those fighting to save Galway Bay from the filth which will emanate from the monstrous scheme lately proposed for establishment off Inisheer. This is vandalism on a massive scale! Michael Murphy, Westport, Co. Mayo. Thank you for your work trying to save wild salmon and for fighting open cage salmon farming. However, you present containment systems as an alternative to open cages, as a solution. Well, it’s not! I love fish and seafood. I try to buy it as much as I can from our (last) local fisherman. I always ask for wild fish and avoid ANY farmed fish when I buy it from the shop. I try to avoid buying endangered species. I wont buy any salmon any more, not even wild ones. I had the privilege to enjoy its amazing flavour for many years and I feel blessed with the memory of it. I don’t want to deprive the sea and the river creatures that depend on it, nor the (human) generations yet to come. I believe that it is an abuse of, if not a crime to nature to keep wild undomesticated species in cages. Call it the ‘spiritual’ level if you like, but it is about respect for nature and the awareness that our species is only a part of it and not master over it. Step one for a ‘solution’ is stopping all (new) open cage farms. Step two is to stop fish farming altogether. Step three is cleaning up the mess we made by scrapping ALL trawlers over a certain size and give back all (sea) fishing to local small enterprises. Nothing less than that. Industrial, large scale farming of any kind has proven not to work. It feeds some bank accounts but makes the people sick and destroys far more than it produces. The only reason that I can fathom for putting containment systems up as a solution, is the fear of losing the job creation/security argument with open cage farm promoters. I think this is a bad strategy. It is giving in to their fear mongering and they will win that argument anyway. I believe that we have to find a way to make clear that there is no point in securing some crappy jobs for ourselves to make a pitiful livelihood while sacrificing our (grand)childrens’ future well- being in a devastated world that’s not worth living in. Technologies are not going to save anything, but the way we think and carefully use (or not use) them are. Why believe the Minister and his Departments and their agencies. Yesterday DAFM, The Marine Institute and BIM planned for and Authorised 10 Irish and UK mussel fishing vessels to fish for mussel seed in a restricted area in Northern Ireland and relay the mussel seed in Irish Waters. This mussel seed is identified as a vector for the transfer of Crepidula Fornicata (Slipper Limpet) an alien invasive species listed in SI 477/2011. Crepidula Fornicata is present in Belfast Lough and under the Birds and Habitats Directive 2011 and SI 477/2011 mussel seed from an area within 50km of Belfast Lough cannot be imported into this State, The mussel seed fished yesterday and relayed in Carlingford Lough and Lough Foyle was fished 25km from Belfast Lough. This issue was raised with DAFM, The Marine Institute and BIM prior to the mussel seed being fished and no action was taken to prevent it. In fact an assistant principal officer in DAFM who issued the Authorisations for the Irish vessels to fish and relay the mussels in Irish Waters stated that this issue of the risk of introduction of an alien invasive species contrary to SI 477/2011 was no concern of DAFM. On Monday next the vessels will be returning to sea to continue this illegal activy which threatens Irelands habitats and fisheries with the approval of DAFM, The Marine Institute and BIM. BIM are central in the management of this fishery and have sponsored MSC accreditation for the bottom mussel industry.Are the MSC are now in the position where they are certifying illegal fishing? We are a small group of residents around Gearhies who have raised objections to the Micro Algae farm at Gearhies unsuccessfully on appeal, and to the reopening of the defunct fish processing factory which is still under appeal. 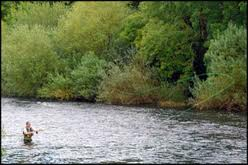 We have successfully objected to a wind turbine at one of the two fish processing factories at Geaghies. There are about 10 of us. We have had to distance ourselves from one member who was becoming too militant. The North side of Sheepshead has a disproportionate number of mussel lines, salmon farms, and fish processing factories. We feel that we could carry more clout if we were part of a less localised group.and hope that Save Bantry Bay might add it’s weight in helping us to fight some of our battles. We would like a contact number so that we could discuss this matter further. Hi Bantry Bay, thanks for keeping up the fight to get fish farms out of the water. You might want to cruise my site, http://www.fishfarmnews.blogspot.com, for fish farm environmental damage, in Canada and around the world. For example, I follow what you do. My most popular post is the Jan 15, 2012 post on on-land fish farm systems around the world, now at 119 on-land systems, comprising more than 10,000 actual, on land fish farms around the globe. I update posts, and this one has the Marine Harvest on-land system in Norway, updated Oct 21, 2015, for Pete’s sake.